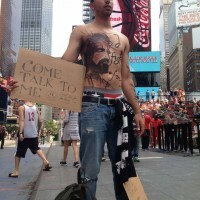 Few weeks ago, we had the privilege to help one man to tell his story through body painting, which led him to spiritual healing. 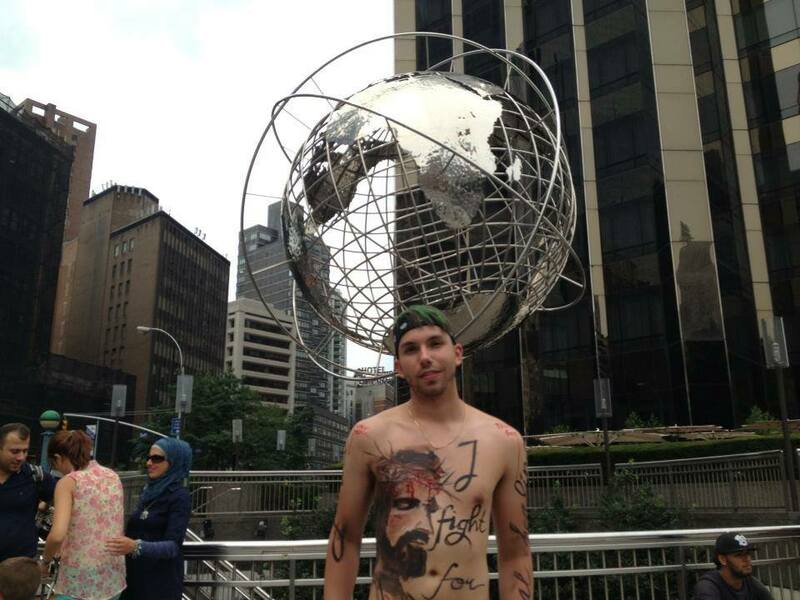 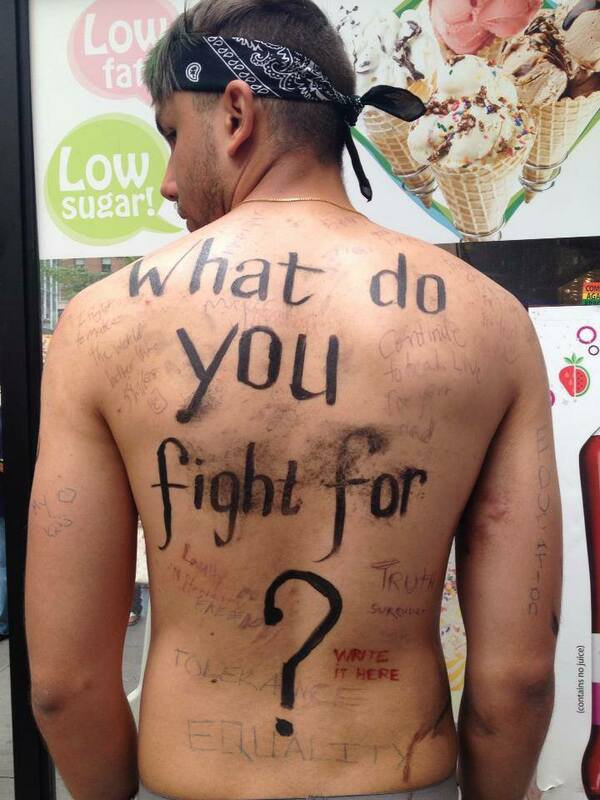 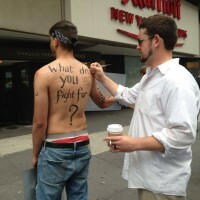 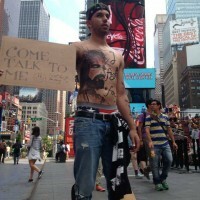 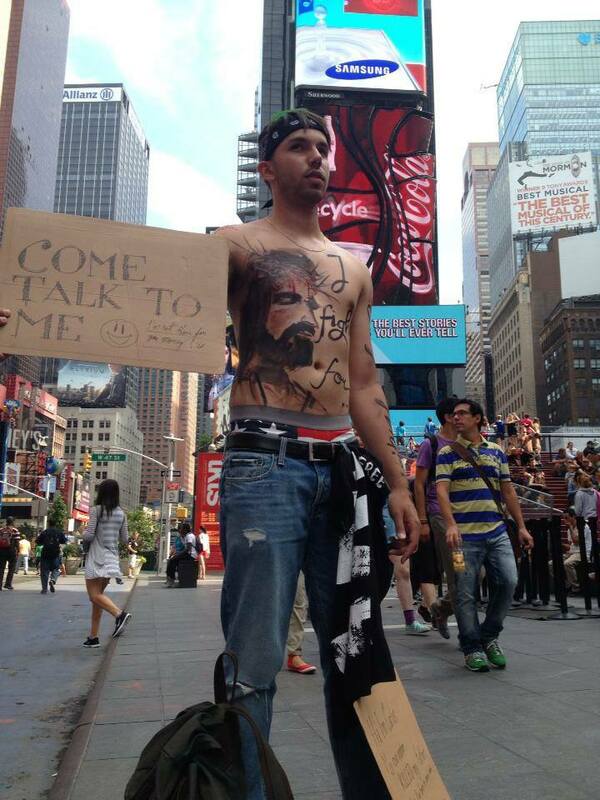 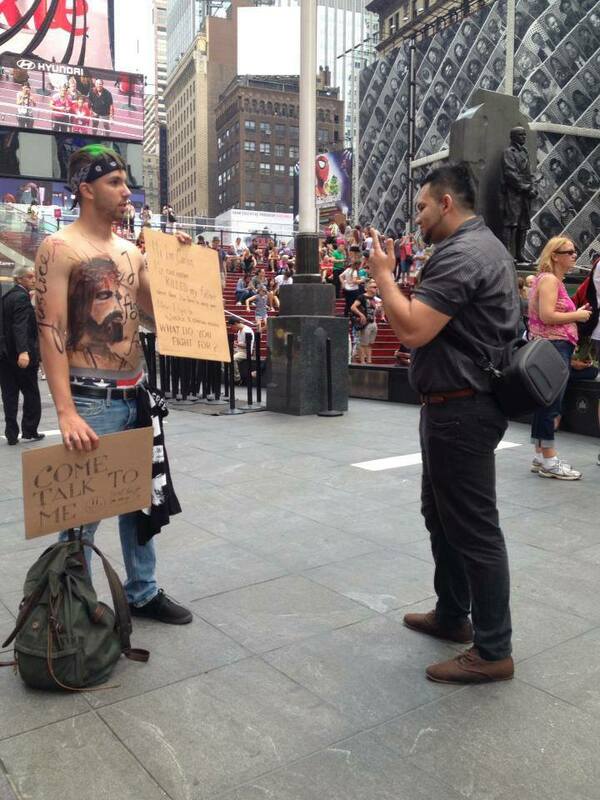 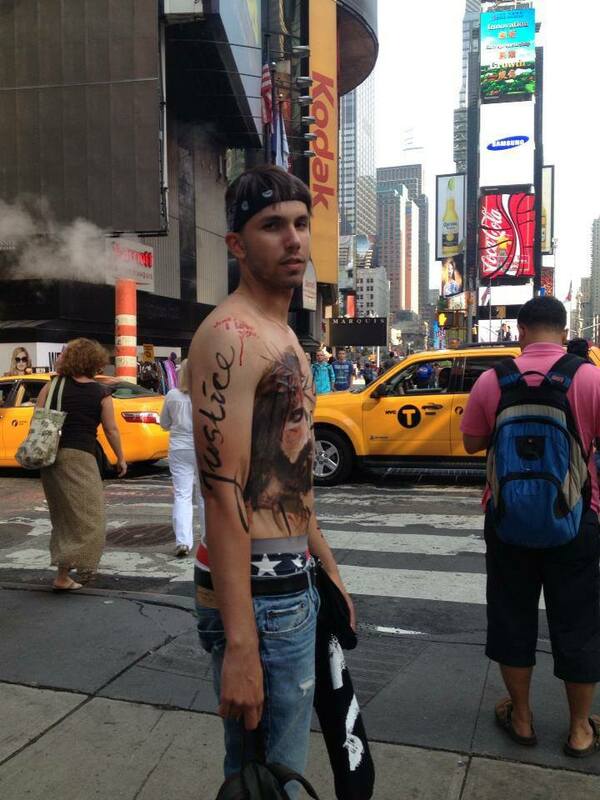 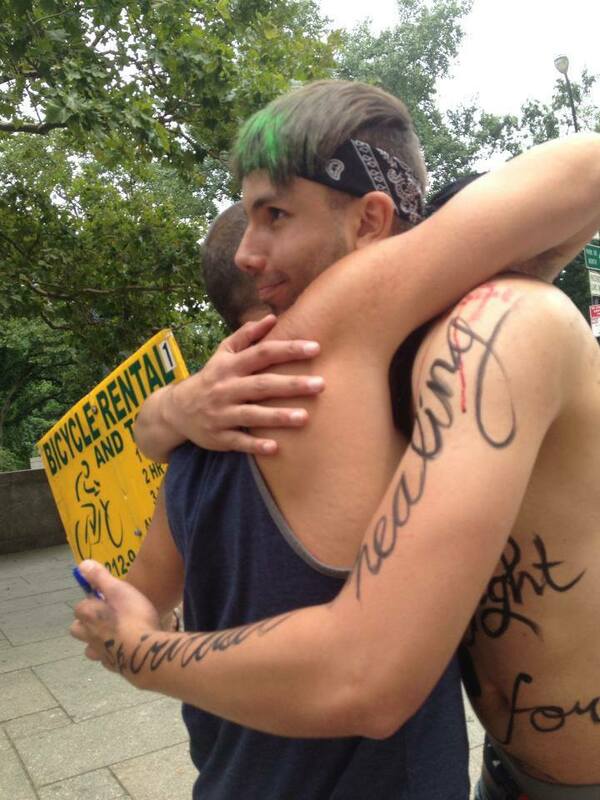 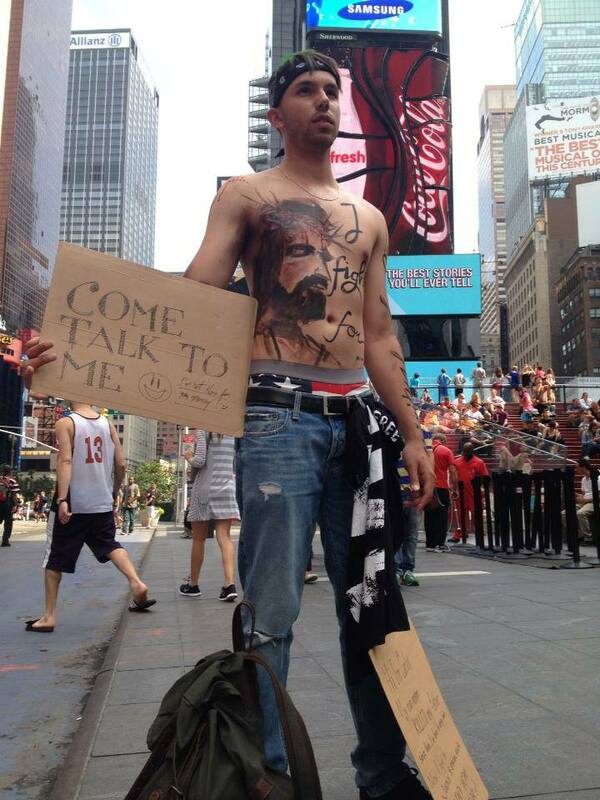 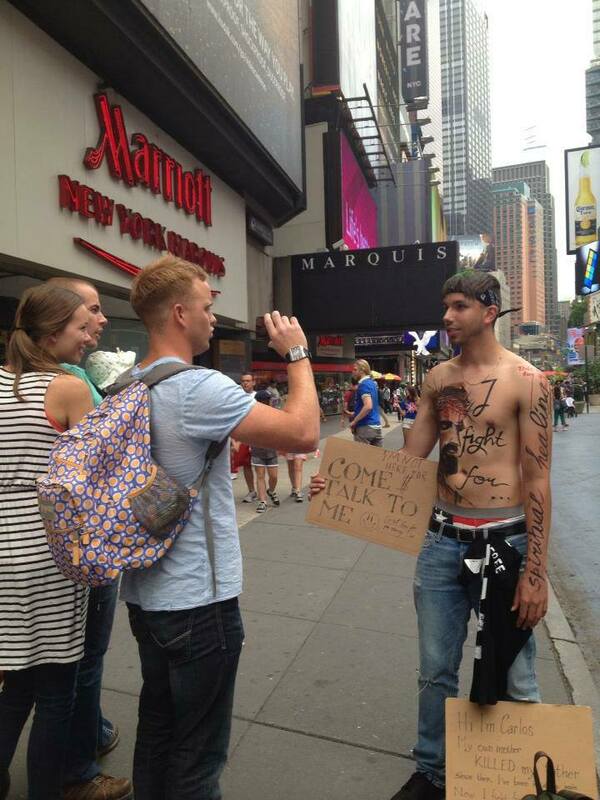 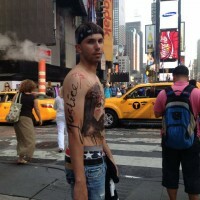 To tell his story, Carlos, decided to get his body painted, have a couple boards with text that briefly tell his story, then go to busy spots around NYC to encourage people to come talk to him and hear his story. 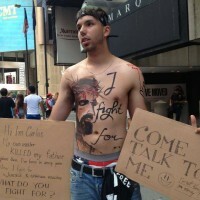 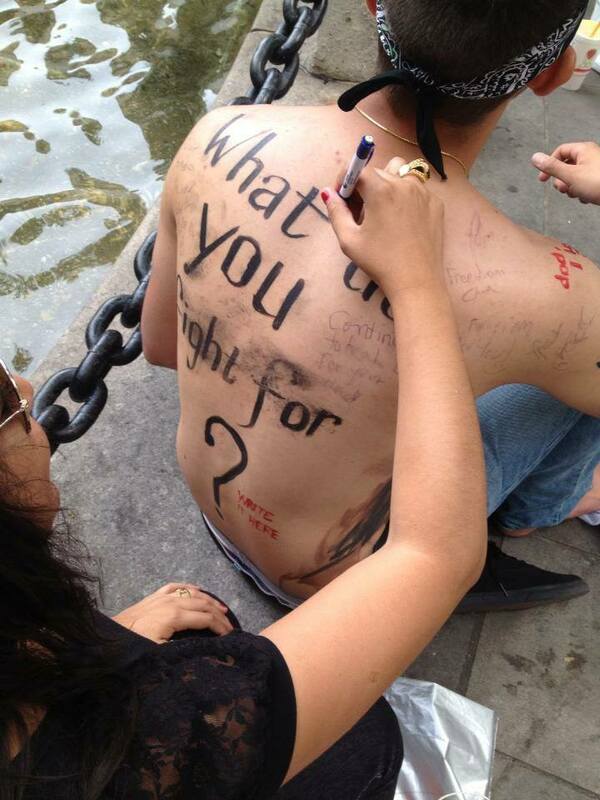 We briefly told his story in the previous blog post for this body painting project. 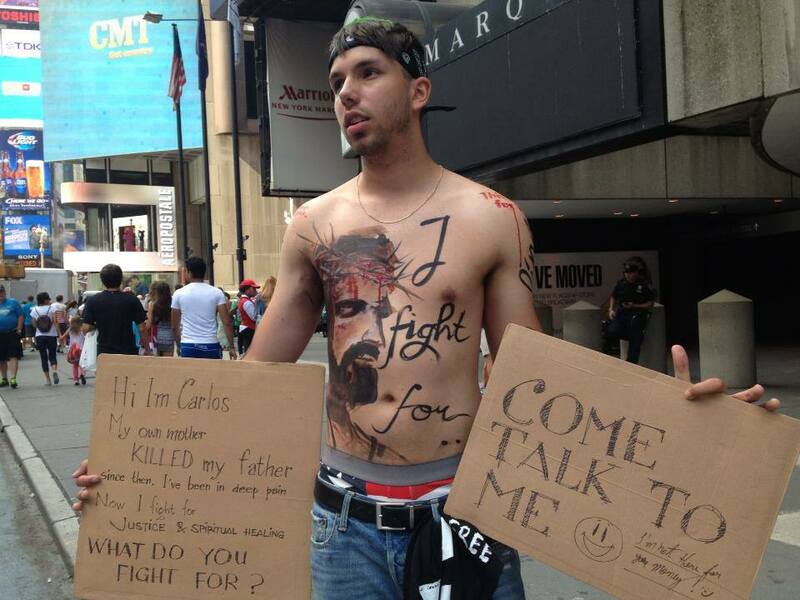 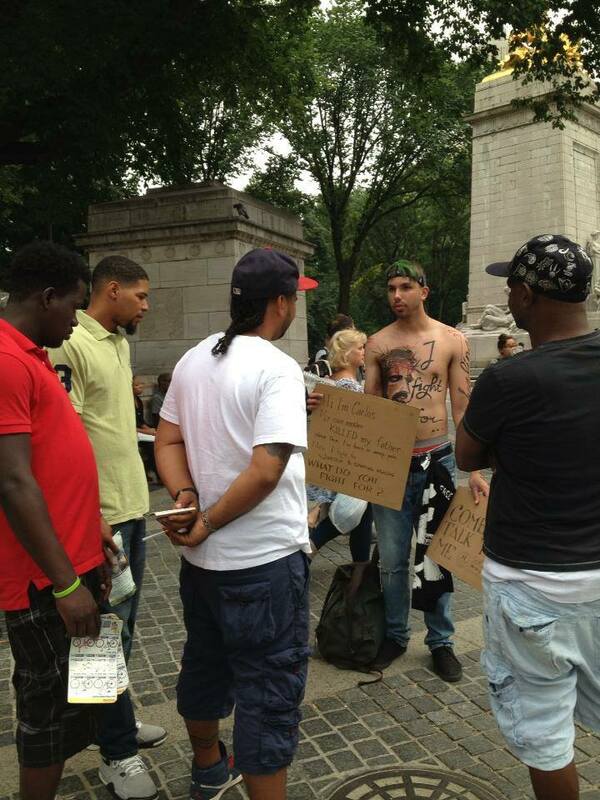 Below are images of Carlos, when he engaged his audience in different places in NYC.